A military source told SUNDAY PUNCH on the telephone on Saturday that the troops that were sent to evacuate the remains of the slain soldiers were attacked by the insurgents and had to beat a tactical withdrawal. 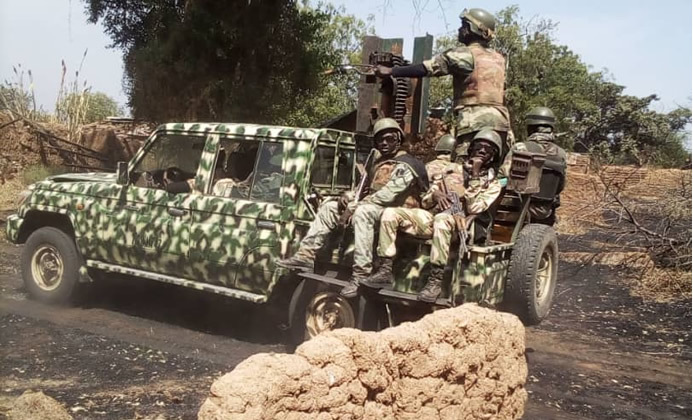 The source said, “As of yesterday, around 10 am, troops from 7 Brigade Baga went to Kangarwa 119 Task Force Battalion Defence Company’s location to recover three armoured tanks. They were ambushed and the insurgents carted away the tanks. The source, who lamented that the morale among the soldiers was at an all - time low, said the bodies of those killed in Sunday’s attack on Metele were already decomposing in the bushes as the insurgents had continued to lay siege to the community.